Clicca per leggere come il riscaldamento a induzione in grado di migliorare l'efficienza, l'efficacia e la sicurezza del vostro processo di polimerizzazione. The client's oven had a heating time of 20 minutes, so the time savings from a 90-second cycle are considerable. Additionally, induction is a repeatable process, unlike an oven and the induction system takes up less floor space than an oven. A three turn channel coil 19 (48.26cm) long is used to anneal 4 pistons running though the coil with a distance of 6 (15.24cm) between centers. A four turn helical pancake coil is used to heat the end of the copier roller assembly. The assembly is heated 90 seconds to cure the adhesive. A four turn helical coil is used to cure the plastisol adhesive. One filter end cap is filled with adhesive, attached to the filter and heated 90 seconds to cure the adhesive. A double channel coil is used for the ink drying application. Fifteen bottle caps are placed inside the coil and power is applied for 3 seconds to dry the ink. Automotive manufacturers are constantly searching for cost-effective production technologies. A three turn oval pancake coil is used to cure the inside liner of a baby food bottle cap. The bottle cap travels through the coil at 25 per second to cure 500 caps per minute. A unique four-over-four double wound pancake coil is used for the bonding application. A complex two coil system, shield and stud systems used to provide proper axial alignments of the shaft & coil while allowing the fixture to be open for removal of the shaft. The Ambrell 20kW output solid state induction power supply along with a unique 30 inch long multi turn helical coil was found to produce the following results. Il riscaldo ad induzione è un metodo senza contatto veloce, efficiente, preciso e ripetibile per il riscaldo di metalli o altri materiali elettricamente conduttivi. Il materiale può essere costituito da un metallo come l’acciaio, il rame, l’alluminio, l’ottone o può essere un semiconduttore come il carbonio, la grafite o il carburo di silicio. Per il riscaldo di materiali non conduttivi come la plastica o il vetro, l’induzione viene utilizzata per riscaldare un suscettore elettricamente conduttivo, in genere di grafite, che poi trasferisce il calore al materiale non conduttivo. La nostra brochure di 4 pagine presenta ulteriori informazioni su come la tecnologia ad induzione. Modern induction heating can solve many of these problems. Heating with induction provides reliable, repeatable, non-contact and energy-efficient heat in a minimal amount of time, so that the curing process can be completed with minimal energy and time. Improved temperature ramping cycles can be achieved with computer control of the solid state power supply. To eliminate extra steps for loading and unloading ovens, induction heat stations can be incorporated into a production line. Finally, induction heating can be performed in extremely clean environments, vacuum conditions or special atmospheres, allowing for unique curing solutions. Although induction heating is normally used with metals or other conductive materials, plastics and other non-conductive materials can often be heated very effectively by using a conductive metal susceptor to transfer the heat. Typical RF power supplies for curing applications range from 1 to 5 kW, depending on the parts and application requirements. Induction heating is widely used for adhesive bonding of metal parts. Adhesive bonding relies on the localized heating of a metallic substrate to achieve accelerated melting/curing of the adhesive. The adhesive bond in this process is cured from the inside out, an obviously desirable condition. All trapped gasses are removed from the adhesive. Induction heating of metal parts to adhesive curing temperatures is utilized in a many automotive processes, such as the use of thermosetting adhesives to produce clutch plates, brake shoes and auto bumper components. Shafts are typically bonded to the squirrel cage rotors in the manufacture of small motors. In copying machines, plastic components are adhesively bonded to aluminum rotors; a thermoplastic glue is used to hold foam rollers on metal shafts. Once the rollers wear out, the shaft is heated and the foam replaced. 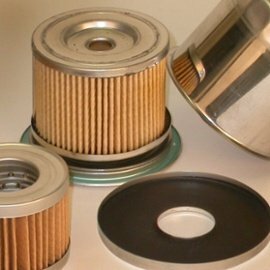 Can ends are usually dried by having their centre portions heated to a temperature that is above the temperature that would normally destroy the sealing compound around the edge. This high temperature slowly "soaks" from the centre to the edge over a period of time giving the compound a longer at-temperature heat profile. A special work coil design is used that allows the preferential heating of components on a simple continuous motion conveyor system i.e. not indexing. This means that the production rate can run into thousands of parts per minute. Steel wires are formed into "U" shapes for bra under wires. The ends of the "U" are usually heated and coated with Estrabond powder. By controlling the heating and dipping process, Ambrell has developed a production system that allows control over the final shape of the end protection coating. The use of Estrabond as an end protection is far superior to the usual resin dip process which often fails if the garment washing instructions are ignored and the article is put in a tumble dryer. In the process of tube coating, induction coil is being used to heat the tube prior to the tube passing in to a powder coating spray booth on the left. The heat generated in the tube cures the surface coating. 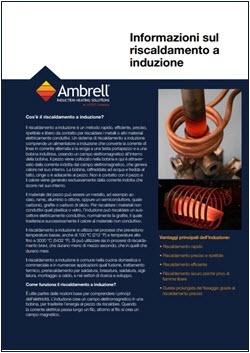 Induction heating can also be applied for a pipe surface curing application.